House #1 A 20 room mansion (not including 8 bathrooms) heated by natural gas. Add on a pool (and a pool house) and a separate guest house, all heated by gas. In one month this residence consumes more energy than the average American household does in a year. The average bill for electricity and natural gas runs over $2400. In natural gas alone, this property consumes more than 20 times the national average for an American home. This house is not situated in a Northern or Midwestern 'snow belt' area. It's in the South. House #2 Designed by an architecture professor at a leading national university. This house incorporates every 'green' feature current home construction can provide. 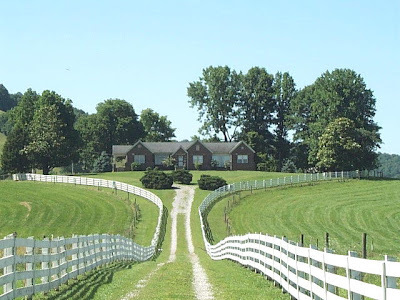 The house is 4,000 square feet (4 bedrooms) and is nestled on a high prairie in the American south west. A central closet in the house holds geothermal heat-pumps drawing ground water through pipes sunk 300 feet into the ground. The water (usually 67 degrees F.) heats the house in the winter and cools it in the summer. The system uses no fossil fuels such as oil or natural gas and it consumes one-quarter electricity required for a conventional heating/cooling system. Rainwater from the roof is collected and funneled into a 25,000 gallon underground cistern. Waste water from showers, sinks and toilets goes into underground purifying tanks and then into the cistern. The collected water then irrigates the land surrounding the house. Surrounding flowers and shrubs native to the area enable the property to blend into the surrounding rural landscape. 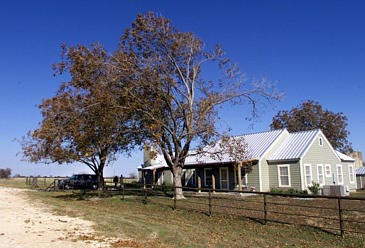 HOUSE #2 is on a ranch near Crawford, Texas; it is the residence the of President of the United States, George W. Bush. The first man received a Nobel Peace Prize and an Oscar for his efforts related to so-called 'global warming' and thinks he is a 'leader'. The second man is broadly reviled by so-called 'liberals' as being dumb and not a good leader. The story of two houses proves that both men have been wrongly judged.